Do you want to buy apartments in Minsk, Belarus? 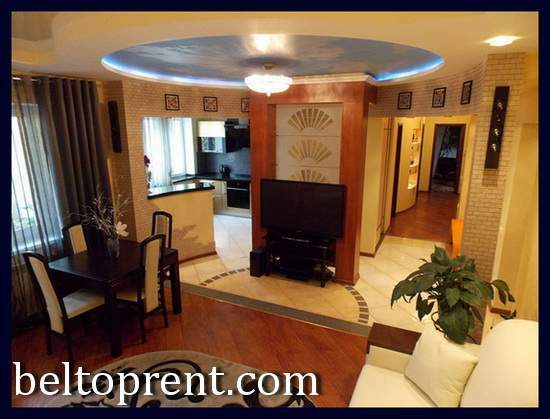 Apart-Hotel BelTopRent ready to help you with buying property in Minsk. There is no any restrictions for foreignires to own an Minsk apartment. The procedure is very easy. We have in our team the nu.1 professional real estate agent Irina. You have to sign up with her contract and she will be showing you apartments for sale in Minsk according to your requirements. The cost of contract is around $500. She has her own car and all rides will be held on her expenses. You have to legally visit Belarus in order to buy apartment in Minsk. Unofortunately, Irina does not speak English, but you can always order an interpreter from Apart-Hotel BelToprent. You need authorised Russian translation of your passport in order to have all paper work done in proper way before you’ll get the key to your apartment. Payment should be in cash after you have signed up all papers and the owner gave you the key. You might need to pay additionally around $500 more if the apartment of your choice is selling by other real estate agency than our real estate agent Irina works for. But maximum ammount of money you have to pay in order to buy legally apartment in Minsk is around $1.2k. There is one time fee of $50 for BelTopRent information support (contact information of our professional real estate agent). If you would hire our translator, the cost for one hour verbal translation service is $15.